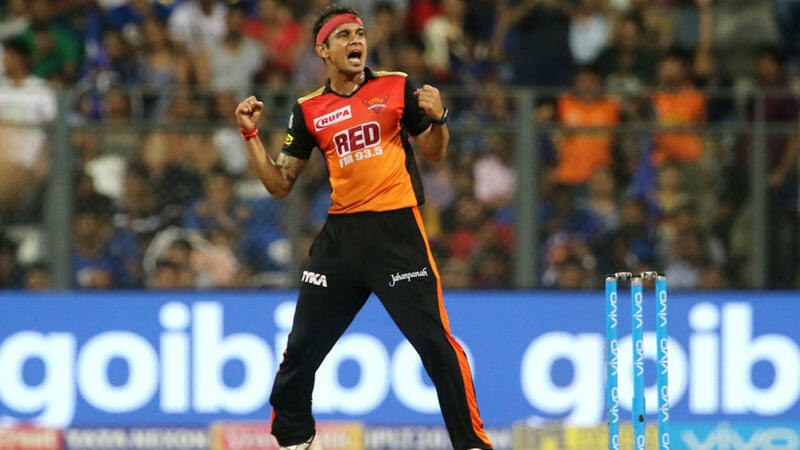 Sunrisers Hyderabad (SRH) young seamer, Siddarth Kaul has revealed his inspiration in the ongoing Indian Premier League (IPL), which is in its mid-season. Meanwhile, Kaul is one of the most lethal medium pacers in the Twenty20 mega-event. So far, he has picked up 11 wickets from eight games and is the second highest wicket-taker among pacers after Delhi Daredevils’ Trent Boult. Kaul revealed that he is enjoying his stint and wants to make the most of his abilities. He also credited other bowlers for his success in the ongoing season eleven of the domestic professional T20 league. “I am enjoying bowling this season and trying to make the most of my abilities. The fact that all other bowlers are doing pretty well is also helping me bowl with confidence,” Kaul said. Meanwhile, Kaul and Virat Kohli were the part of the same team in the 2008 Under-19 World Cup. Although Virat has tasted early success and has become the skipper, Kaul is yet to make his debut. Kaul earned an India One-day International team call-up just a few months back after grilling hard in the domestic circuit but didn’t get a match. Exciting fast bowler admitted that Kohli is an inspiration and longed to make his debut under him. “Virat Paaji is an inspiration. The way he has conducted himself in the last 10 years is just fantastic. I might be a bit late but I have always believed that it is better to be late than never. Didn’t get a chance to play in the series against Sri Lanka. I hope I get to make my debut under Virat soon,” he added. A couple of injuries over the years have halted Kaul’s growth. However, he admits that he has done a lot of mental conditioning to prepare himself for the international level. Coming from a sports background, both of the siblings went to play cricket. Both Uday Kaul and Siddarth has played for India U19 and for the senior Punjab side. Siddarth Kaul stressed that he wants to make his debut for India soon and represent his country in all the formats.